One of billy lane’s bikes and the longer I look at it the more things I see to just be like damn that’s cool and that’s why I like his bikes so much, again a tank like that isn’t just Any tank. Hand fabricated just by bashing and smashing sheet metal. 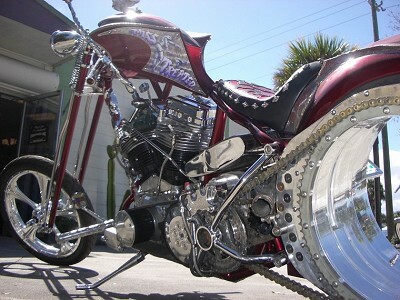 This entry was posted in Builders Chopper Art.